If you require buying something you can buy it online, you can study online, you can contact all over the world by mail and online chat or video conferences. Any type of information you can get by web. Websites are taking important role in our circadian life; however we have multiple devices with different screens and resolutions before few years. Websites hadn’t fixed on your device screens as like today, And after few times we have multiple media queries as per different screen but it was so arduous for developer to beat innovations of devices and made multiple custom made queries, developer had to make and maintain multiple sites for different contrivances. How Developers solve this issue? Developer got analyze that Web should respond to the user’s behavior and environment based on screen size. 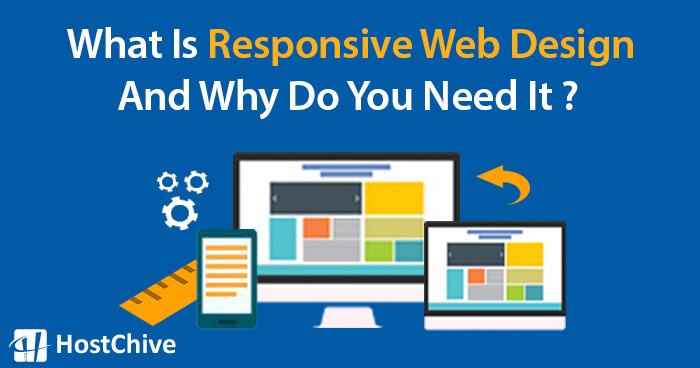 Responsive websites are the combination of flexible grids, flexible images, and media queries meanwhile User switches from their laptop to iPad, the website should automatically switch to accommodate for resolution, image size and scripting abilities. In other words, the website should have the technology to automatically respond to the user’s preferences. Twitter Bootstrap is famous and essential framework/ implement for making responsive websites which makes developer work effortless, it has multiple built in media queries which avail to make grid system base website. It has technical built-in CSS codes which provide multiple CSS of paragraphs headings, buttons, responsive dropdown menus, footer and much more. Due to Responsive websites ratio of mobile usage increases day by day. Every brand need to construct their website responsive because it magnetizes users and build their trust. Getting results in improvement of SEO and SEM, means your site use a single URL structure, using this single URL structure helps users share and link to your content across the multi-devices. There is no need for redirection to and from different versions of the site. This improves response time for the user, and also avoids the errors which redirects are prone to causing. In future, as new devices (TVs, watches, glasses, etc.) are being used for web browsing, responsive site will easily adjust and still look stunning. RWD is technology, it has been developed for several usages because mobile utilization is in high priority in our life, as per our demand developer taken decision to make user friendly website which may adjust as per user requirements.